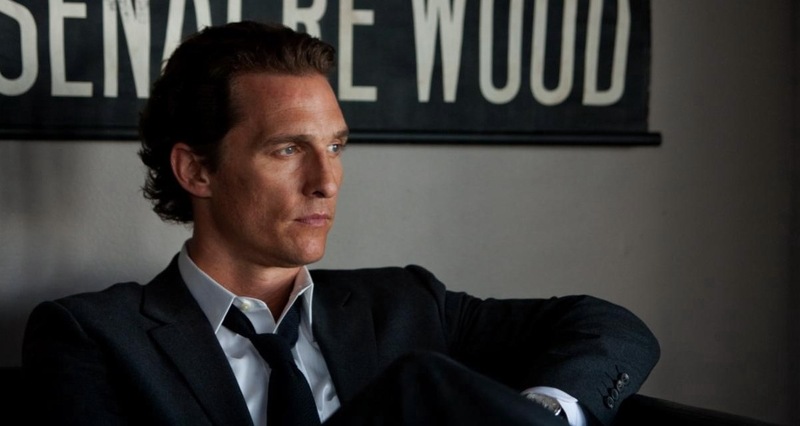 Full of unpredictable twists and turns, "The Lincoln Lawyer" is easily McConaughey's best film in years. Made for fans of old school courtroom McConaughey flicks and twisted legal thrillers. I haven’t liked anything Matthew McConaughey has starred in since Contact in 1997, with the minor exception of his bit role in Tropic Thunder and his fabulous death in Reign of Fire. It has been so long since he brought his actual acting skills to the table that most of us cannot remember him as ever possessing them. In The Lincoln Lawyer, McConaughey plays Mick Haller, a semi-crooked but never dirty defense lawyer who practices law out of the back seat of his spacious Lincoln town car. Mick knows how to work the system, manipulating the courts and taking monetary advantage of his clients every chance in gets. It is in that sense that he is semi-crooked, but never in the bribe-taking or major law-breaking areas. Defending the scum of Southern California, Mick is looked down upon by every District Attorney, including his D.A. ex-wife (Marisa Tomei, The Wrestler). While Mick makes plenty of money to support his more-than-comfortable comfortable lifestyle, with eager eyes he takes on a high profile case that will not only fill his bank account but give him notoriety. Louis Roulet (Ryan Phillippe, Breach) is a wealthy and well-known real estate mogul who was just brought in for nearly beating a girl to death. With the evidence on his side, he swears that he is innocent, being set-up by the girl and her boyfriend in an attempt to get at his money. The investigation and trial that lie ahead is full of intense and unforgettable twists and turns that will keep you guessing until the very end. Every TV spot, internet ad and critic is saying the same thing about The Lincoln Lawyer: it’s full of twists. Even knowing that before seeing it, while watching The Lincoln Lawyer you will be making predictions, thinking that the unforeseen twists are evident. You will be wrong. While you may predict a little twist here or there, the big ones will baffle your mind as they unfold. I became a fan of courtroom dramas when a slew of them were released in mid-’90s. The Lincoln Lawyer is just as good, if not better, than those that I grew up watching. If you enjoy legal thrillers, unpredictable twists and films like Primal Fear, be sure to see The Lincoln Lawyer this weekend – even if you, like me, cannot remember what it is like to enjoy a Matthew McConaughey film. The Lincoln Lawyer is easily his best film in over a decade.